Description: Exquisite Purple and Sunburst colored trim with Amber jewels adorn Beige Iridescent glass on this conical lamp shade. 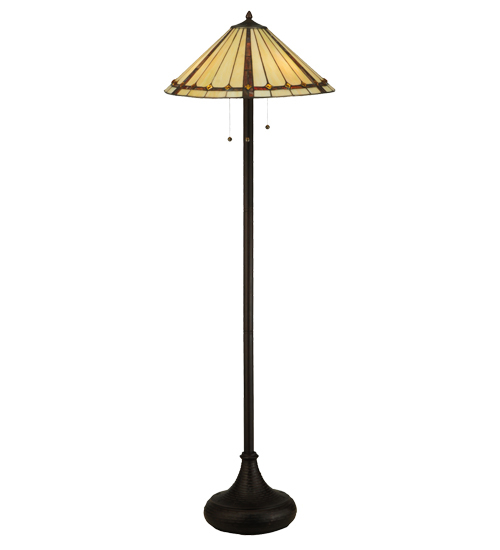 This stunning shade is constructed with Meyda Tiffany's famous copperfoil construction process. The elegant lustrous floor base is finished in a warm Mahogany Bronze.